Welcome to Newton and Dolbare, P.C. Newton and Dolbare, P.C. primarily serves nine counties in Southwest Alabama. The counties served are Washington, Choctaw, Clarke, Sumter, Marengo, Mobile, Monroe, Wilcox and Tuscaloosa Counties. The firm's two office locations allow us to conveniently serve clients from all these counties. 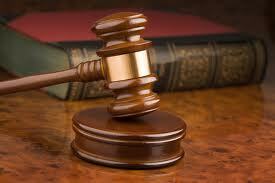 We have three decades of experience in the practice of law. Our backgrounds in both business and finance fields provide broad experience for a variety of cases. We have handled hundreds of cases in the areas of personal injury, social security disability, divorce, custody disputes, worker's compensation, probating of estates, adoptions, criminal defense, and real estate transactions. Our years of experience in these areas allow us to provide quality and experienced representation to clients in all of these practice areas. It is our mission to provide successful outcomes for our clients based upon honesty, experience and hard work. In repesenting our clients, we are not afraid to take on the large corporations, insurance companies or any other person or entity. The firm motto for Newton and Dolbare, P.C. is: HONESTY, HARDWORK and EXPERIENCE acheive success. Material presented on Newton and Dolbare, P.C. 's website is intended for information purposes only. It is not intended as professional advice and should not be construed as such. The material presented on this site is included with the understanding and agreement that Newton and Dolbare, P.C. is not engaged in rendering legal or other professional services by posting said material. The services of a competent professional should be sought if legal or other specific expert assistance is required. Any unauthorized use of material contained herein is at the user's own risk. Transmission of the information and material herein is not intended to create, and receipt does not constitute an agreement to create an attorney-client relationship with Newton and Dolbare, P.C., or any member thereof. This website is not intended to be advertising and Newton and Dolbare, P.C. does not wish to represent to anyone desiring representation based upon viewing this website in any state or jurisdiction where this website fails to comply with all laws and ethical rules. By establishment of this website and as required by the Alabama Rules of Professional Conduct, "No representation is made that the quality of legal services to be performed is greater than the quality of legal services performed by other lawyers."